The rules of the game are straightforward. 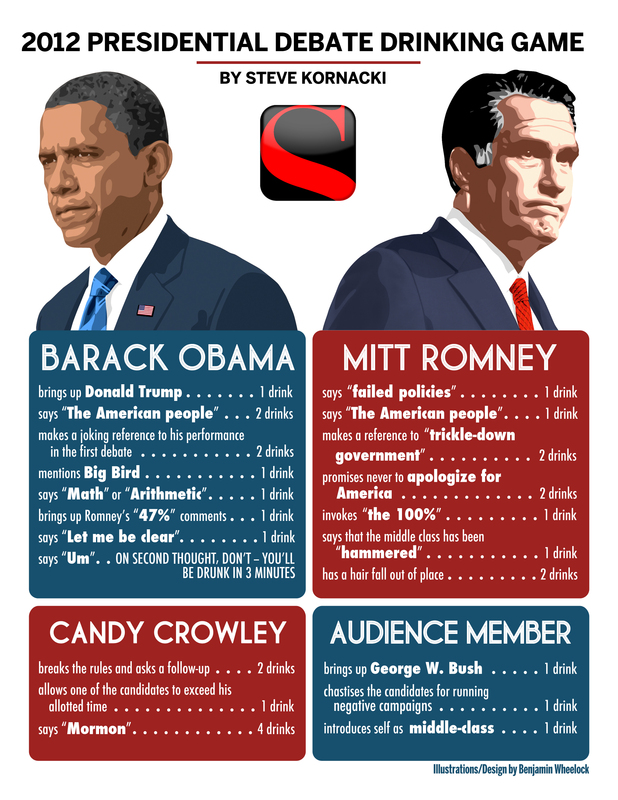 For each mention of a certain topic or phrase by a candidate (think “Let me be clear” for Obama and “the 100%” for Romney), one must take on 1-2 drinks. Some buzzwords, like “the American people,” overlap with both candidates. Even moderator Candy Crowley and members of the audience count in the reckoning. Salon prepared the game rules in a handy PDF, downloadable at this link. The debate kicks of at 9pm EST and is available for live streaming here. And if you get bored of that one, you can always switch to the CNN version.